Tecnofluss is specialized in the manufacturing of thermosealers and complete lines for filling and capping of liquid, semi-liquid, dense and doughy products in food industry. We have several models of thermosealers available to satisfy all the needs of filling and sealing of rounded, squared and oval containers and buckets. Our thermosealers are designed to meet all the customer’s basic requests: simplicity, flexibility, reliability and competitivity. 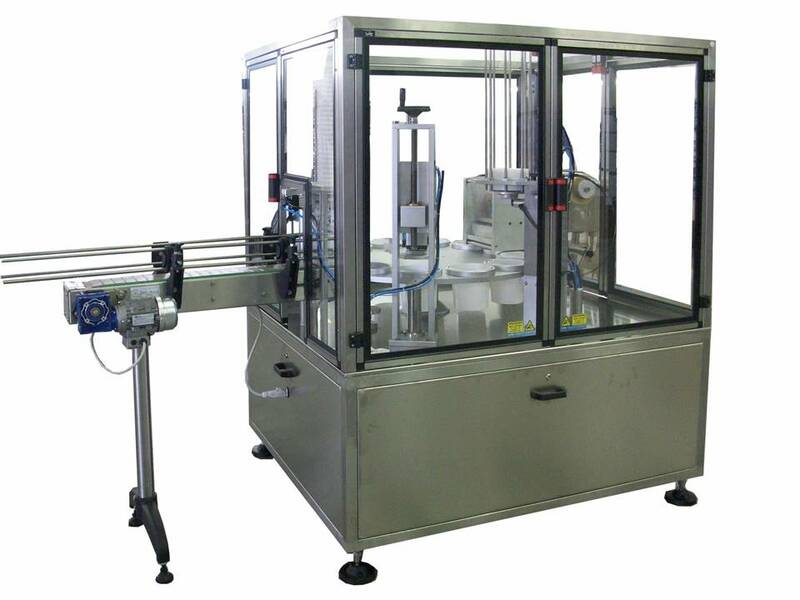 They are particularly suitable for food products like yoghurt, cheese, sauces, honey etc… Electrical functioning driven by brushless motors to get a precise and stable positioning of the mould. Our thermosealers include several patented stations for unstacking the containers, for dosing, for sealing, for placing of aroma protection lid and for the discharge of the product onto the conveyor belt. Version with gas injection is available, to preserve products in modified atmosphere ATM. Easy and quick format change (about 15’). Complying with the food and UE regulations. Rotary monoblock SGR-12 with 12 stations table with new generation double alveolus has been designed to meet all the requirements demanded by customer: simplicity, flexibility, reliability and competitiveness in a compact machine. 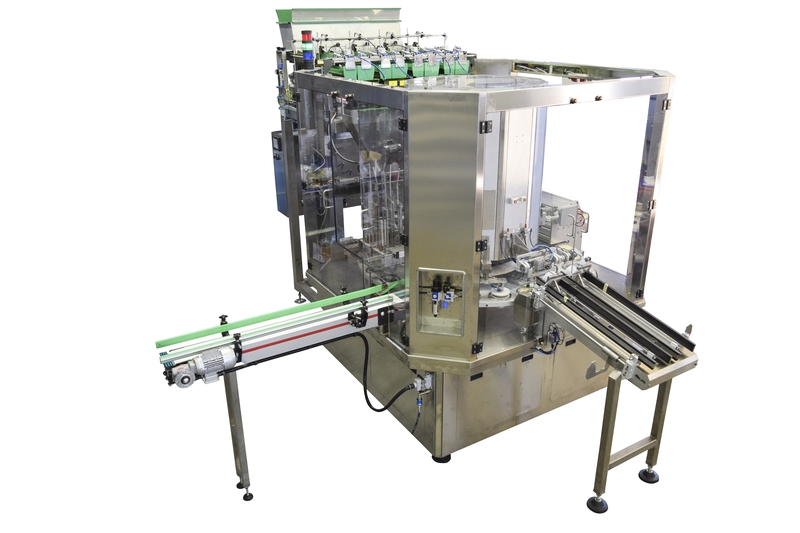 The monoblock has a central core that allows the application of the different operative units and, consequently, has a plan of leaning plan, particularly suitable for food products. The operation with Brushless motors allows the maximum precision in the positioning of containers. The format change is easy and quick (about 15’). SGR-12 complies with food standards and EEC directives. It has been designed for meeting all the basic requirements of the customer: simplicity, flexibility, reliability and competitiveness. It is customized from time to time and it is supplied basing on customer’s needs. Pneumatically assisted electromechanical operation. Equipped with special units patented by us. Quick and easy format change (about 15 minutes) Compliant with the food rules and with the EEC directives. Production 2500 pieces per hour.